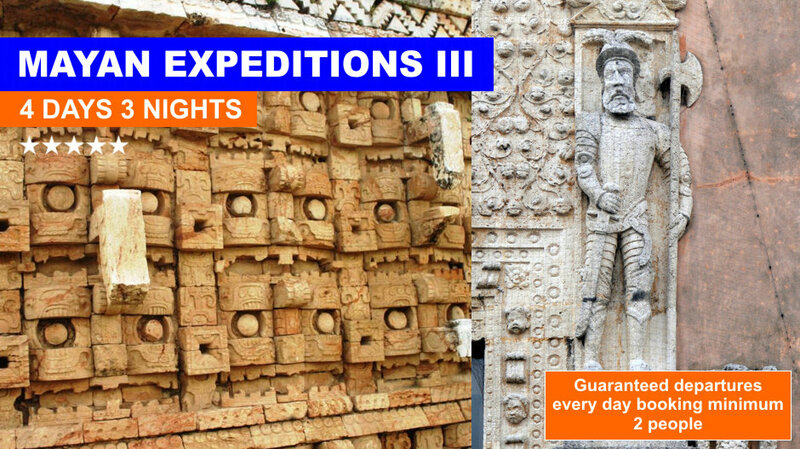 A complete 4 days expedition to the enigmatic Mayan Ruins of Tulum, Coba, Uxmal, Kabah, Chichen Itza and 2 important colonial cities like Merida and Valladolid, take a close look of the ancient Mayan culture and the actual Yucatan culture, that makes this experience unforgettable. 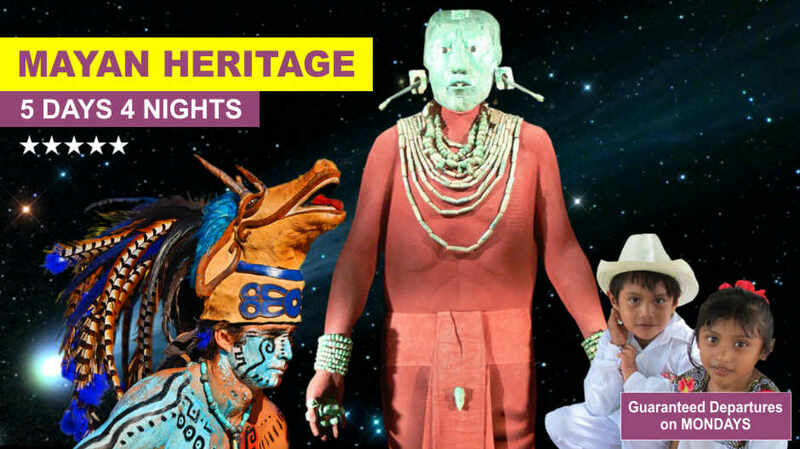 A must have, if you want more of the Mayan culture. Food and Drinks not mentioned. 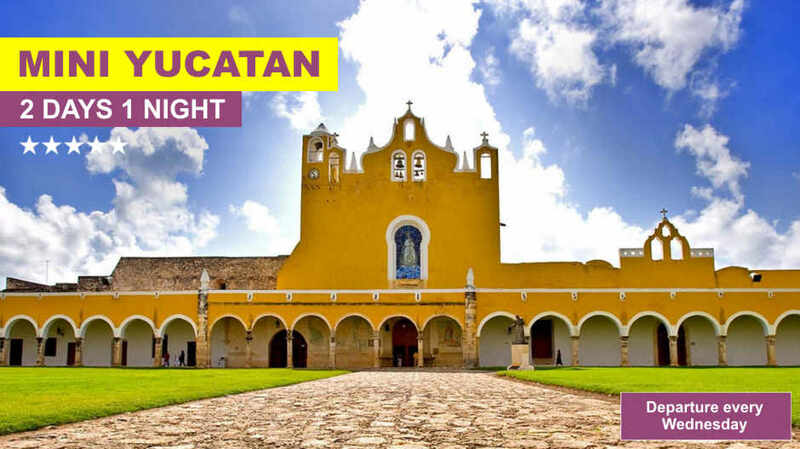 Depart from Cancun to visit the archaeological site of TULUM, perched on the coast of the Caribbean Sea and protected by a fortress wall and the second largest reef in the world. It is considered to be one of the last Mayan cities, their collapse were in 1600 AC., after this visit we will continue to the archaeological site COBA one of the highest Mayan Temples, time to swim in a sinkhole. Overnight at VALLADOLID. 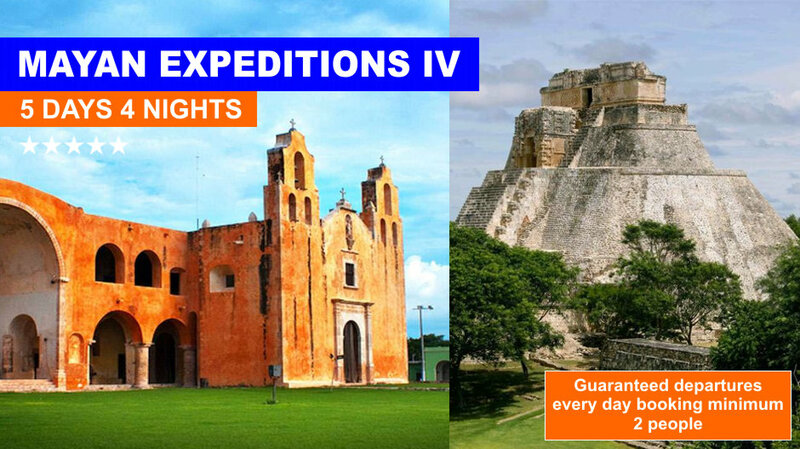 09:00 depart the hotel, on our way to Uxmal, we will visit MERIDA a beautiful Colonial City founde in 1542, in the afternoon at UXMAL we will enjoy the light and sound show (optional). Overnight at Uxmal. 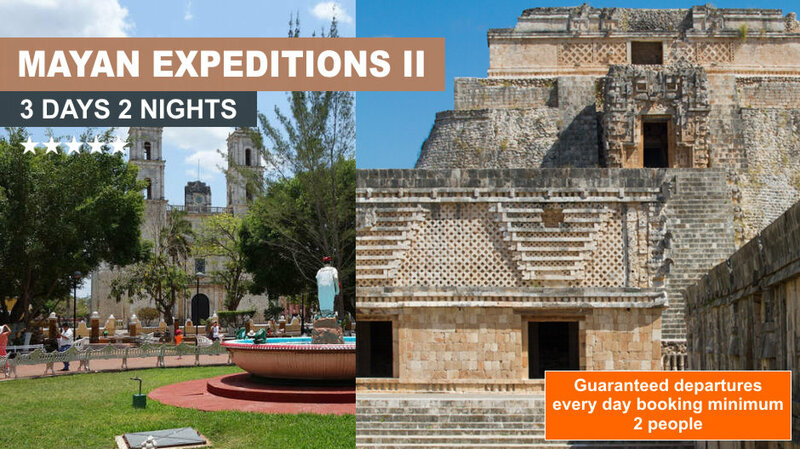 08:00 we will visit the UXMAL Ruins famous for the magnificent stone decoration, platforms and the famous temple of the Magician, we will continue to CHICHEN ITZA, to enjoy the light and sound show (optional). Overnight at Chichen Itza. 08:00 we will visit this breathtaking Mayan City CHICHEN ITZA, named one of the new seven wonders, the Castillo, the Cenote, the Observatory, the Ball Court, after the visit... continue to Cancun or Playa del Carmen. Depart every MONDAY and FRIDAY, mínimum 2 passengers. Minimum Private Services any day of the month, four people.